Balan Madhavan is one of the most sought after travel photographers in India. 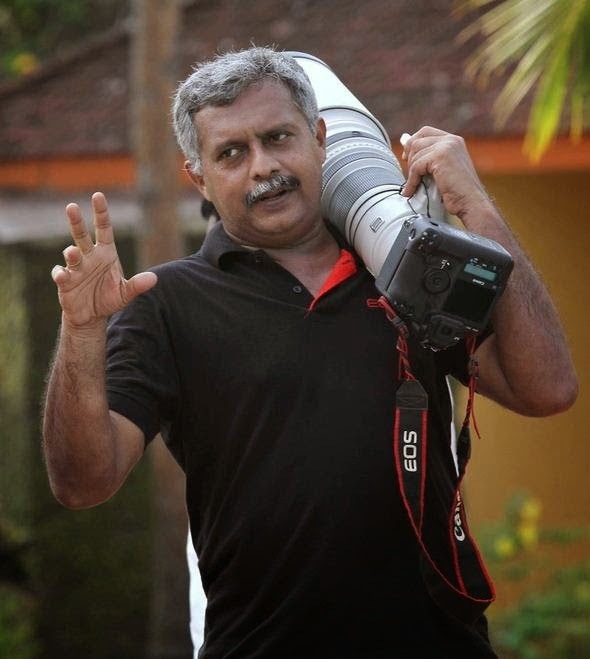 He is a Fellow of the International League of Conservation Photographers (www.ilcp.com), the only one from India. He has taken part in conservation projects in USA and Mexico along with many top wildlife photographers of the world. He has also published his pictures and his first book of photographs, titled "MOMENTS", received the best tourism publication award from the government of Kerala. His second book has just been released and is on the Periyar Tiger Reserve. Entitled "Periyar in her Elements", it is a collaborative effort with fellow naturalists and nature photographers from South India. His next book project is named "Water, Taken for Granted.” As is evident from its title, it is on a deeply topical theme that explores pictorially the crucial role of water in our lives. As always, a photographer’s bio is not complete without a hint of his gear. Balan’s cameras of choice include Canon and Nikon DSLR systems with an array of top class optics. He lives in Tiruvananthapuram in Kerala with his family. You can write to him at balan@vsnl.com and visit his website www.balan.in to know more about this exceptional photographer and his diverse body of work.